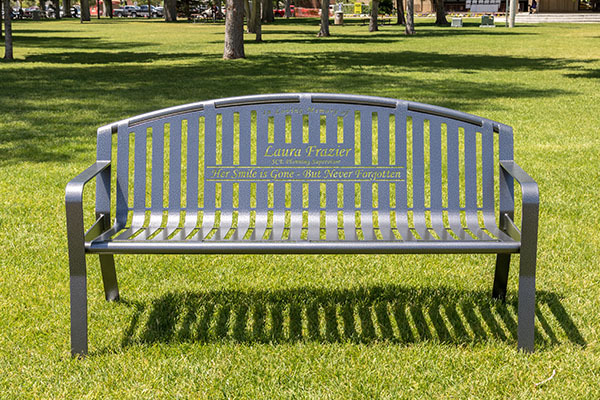 Honor a loved one’s life with the Classic Arch Memorial Bench. 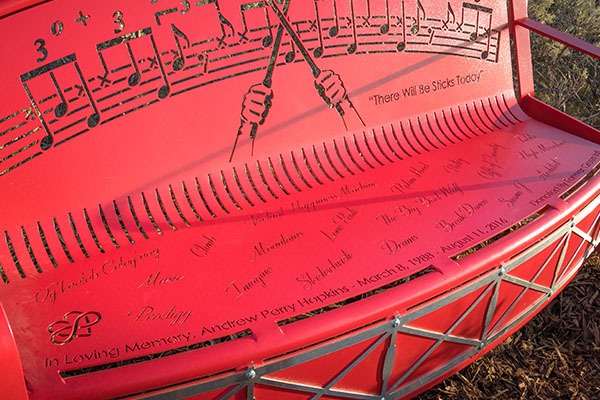 It still features the classic slat design, but has an arched back. An added arch provides extra space for designs. 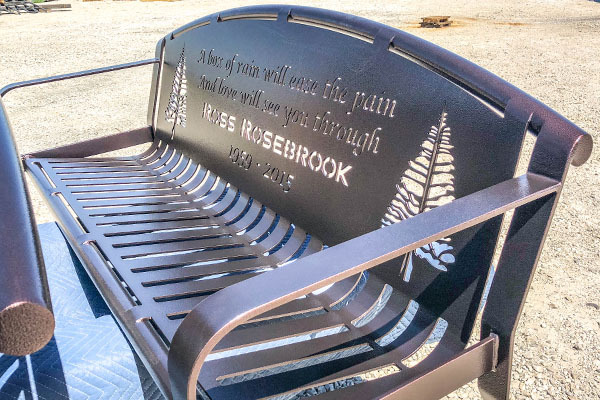 The memorial bench is a beautiful addition to cemeteries, local parks, schools, and more. 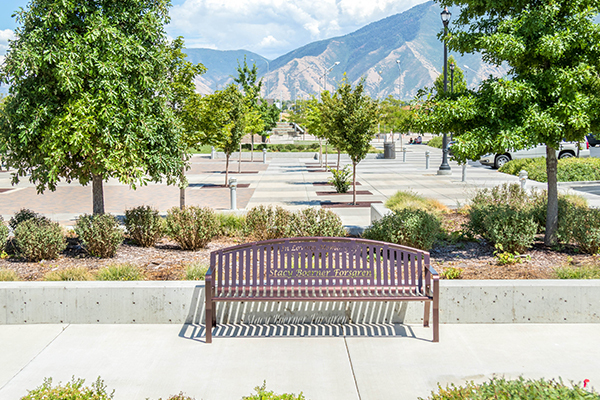 To get started with the Classic Arch Memorial Bench, call (801) 414-1724. 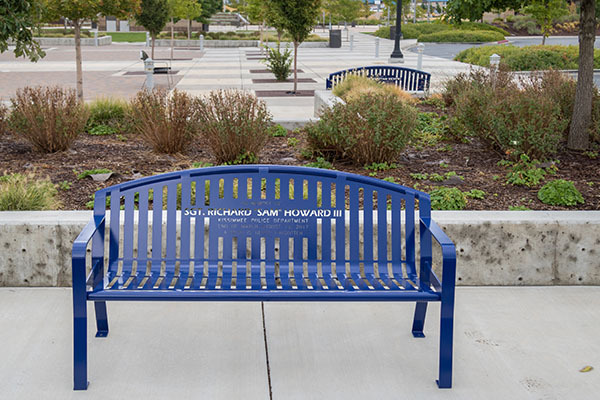 4, 6, and 8 foot size Classic Arch Memorial Benches. 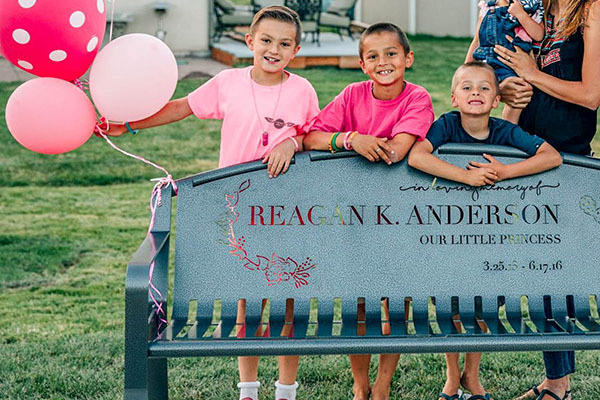 We also offer child size benches. 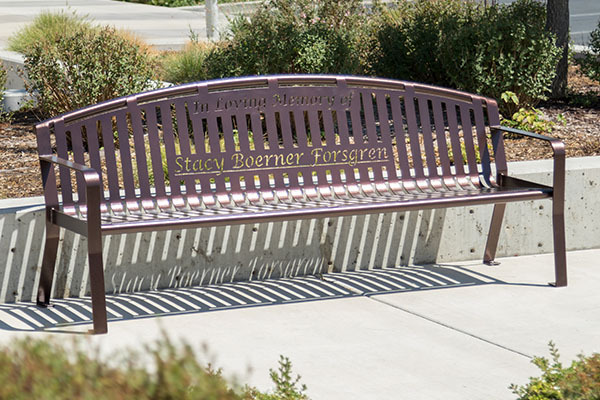 We take great pleasure in creating durable memorial benches that will last for years to come. 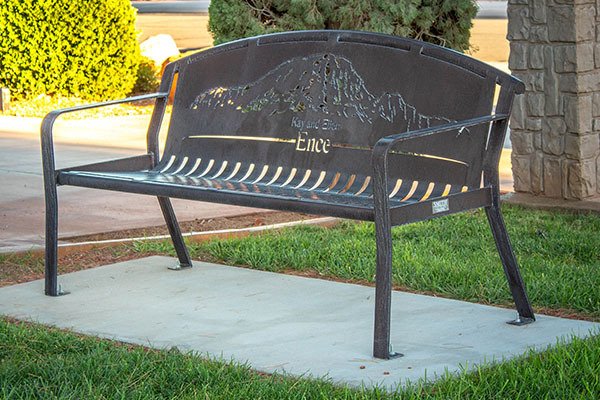 Each memorial bench is powder coated to protect against rust, corrosion, and other weathering. 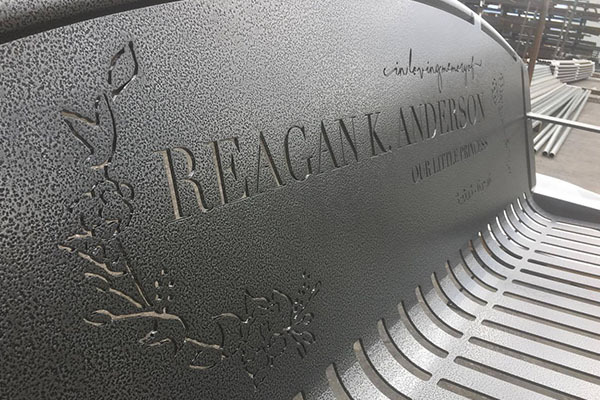 Add fully custom designs to the bench including: inscriptions, portraits, and more. 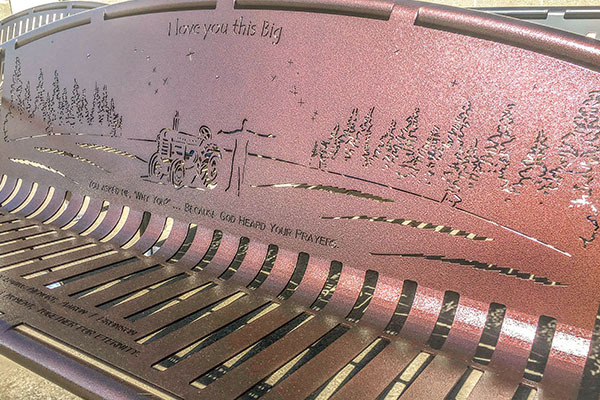 At Smith Steelworks, we work with phenomenal to make sure that our bench designs are the best of the best. 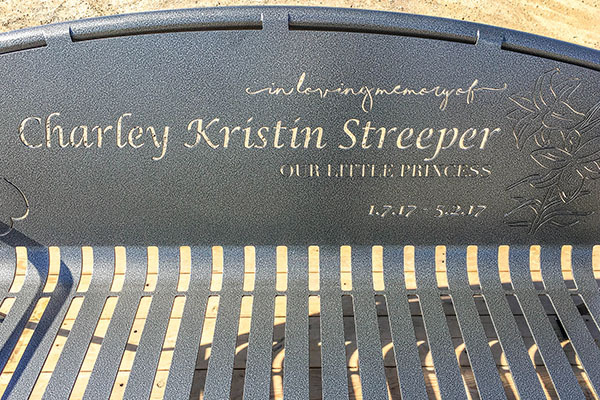 Each memorial bench is fully customizable along the back of the bench. 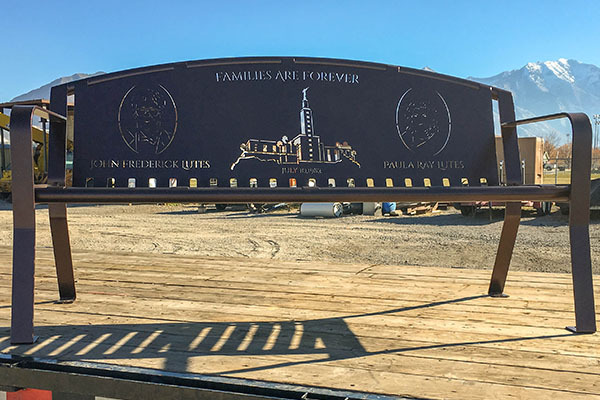 We are capable of adding portraits, personal signatures, monuments, sceneries, and more. A proof will be created to show how the final product will look. Once you approve of the design concept, the manufacturing process will begin. Constructing the bench is only the beginning. 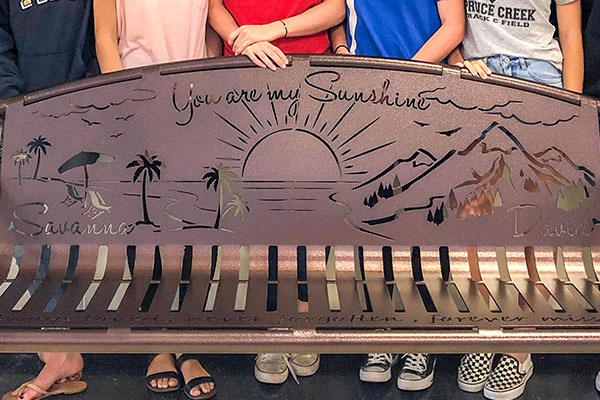 After laser cutting, bending, and welding, the bench is then taken through a three-step powder coating process. 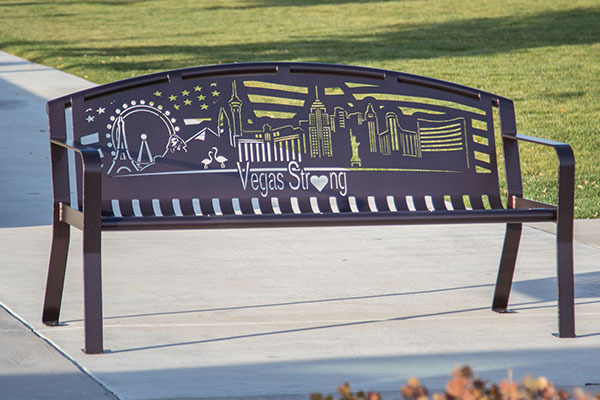 This includes sandblast, prime, and powder coat. The powder is baked at 400 degrees. This melts the powder into the metal; creating a smooth, durable finish. 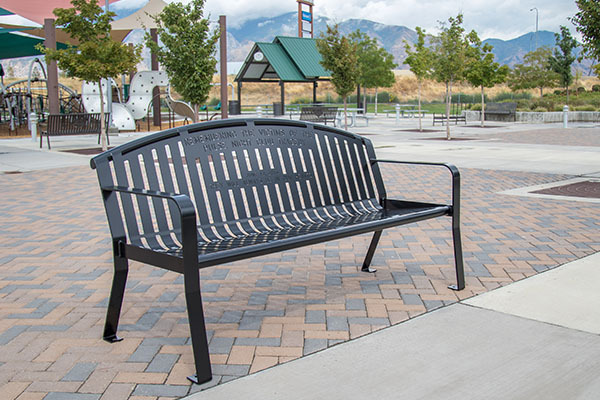 Powder coat reduces the risk of chips, scratches, and flakes. It also protects the metal against rust, corrosion, and sun fade. 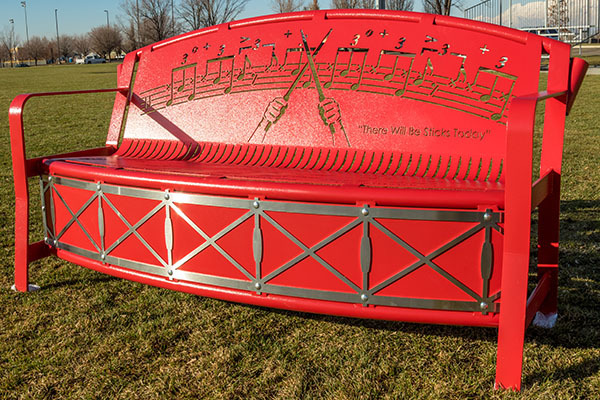 You can learn more about the benefits of powder coating here.